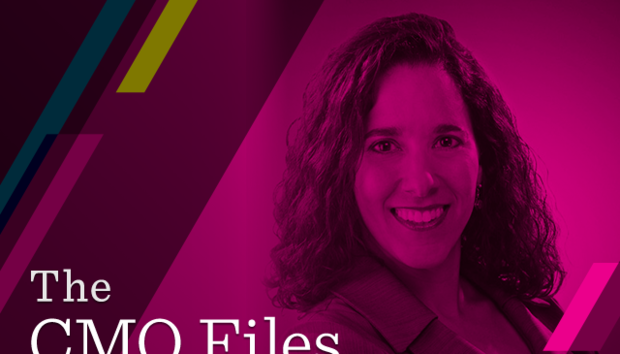 Michelle Johnson Cobb is the chief marketing officer for Skybox® Security, a global leader in cybersecurity management, where she directs marketing strategy and execution to drive business in 50 countries. For more than 15 years, Cobb has held executive roles in computer security, networking and enterprise software companies, including McAfee, Tumbleweed Communications (now an Axway subsidiary) and several startups. Where were you born and raised? I was born and raised in Ann Arbor, Michigan, home of the University of Michigan. Growing up in a vibrant, diverse college town — where nearly everyone was connected to the university as a student, alumni, professor, researcher, etc. — set the expectation that seeking and applying new knowledge was an everyday activity. What was your first job? My neighbours ran a business managing NASCAR events out of their home and needed assistance with some computer programming and data entry. At that time, I was 14 and had taken one high school computer programming course — a semester of BASIC on an Apple II. The business owners challenged me to create a database program that could store and sort race data and generate reports. It wasn't until much later that I realised what a lucky opportunity this was. What was the first product you got really excited about? Right out of college, I landed a job as a software engineer at GE Medical Systems. At first I was "in the basement" creating and testing software for computerised tomography (CT) scanners. Then I transferred into the service engineering department where I deployed new software on site at hospitals and saw firsthand how the radiologists were using our product to help real patients. It's easy to become passionate about life-saving technology. Who has been the biggest influence on your career? I have to say myself because I have chosen to re-direct my career path many times. I've stepped from engineer to product manager to marketing roles to consulting entrepreneur to get to my current executive role. Along the way I have applied invaluable coaching from a long list of former and current managers, coaches, parents and other influencers. And I am extremely thankful for that! What has been your greatest achievement? Creating the Skybox marketing program from scratch and being integral in building the amazing team of folks I get to work with every day. We started with no foundational marketing elements and only one marketing employee; today, we have a 30-person global team. What has been your biggest mistake? It seems that every time I have ignored my inner voice, my gut feeling, that I've paid the price in my personal life or career. Nowadays, I always try to balance analytical thinking with intuitive reasoning. What is your greatest strength? I am calm under pressure and strive to accomplish what are sometimes seen as "impossible assignments." What is your biggest weakness? Ask anyone who knows me well would tell you, I push myself until I drop. But I've made it one of my personal goals to demand the resources and support I need to meet difficult challenges. What do you think is the aspect of your role most neglected by peers? In one word: feedback. We sometimes rush to the next product launch or next set of deliverables, overlooking the need to gather valuable feedback. Are customers happy with the solution? Did the sales team use the materials provided? This input informs and tunes the marketing process for maximum impact. Which word or phrase is your mantra and which word, or phrase makes you squirm? My mantra: "Communicate what I need and stand my ground." What makes me squirm: any mention of committees! What makes you stressed? Getting stuck. Whether it's a project that isn't moving forward or a situation I can't resolve — I hate that feeling! What do you do to relax? Get outside and do anything active with my family or by myself. My personal retreat time is when I am training for triathlons. What is your favourite song? My favourite changes based on my moods; however, I can say that my favourite theme is determination. When I need a quick fix, my current go-to is "Raise Hell" by Brandi Carlile. Do you have a team or sport that you follow? The Michigan Wolverines. Go Blue! And my teammates in the Greater Bay Area chapter of Team In Training. We raise money and race to beat blood cancers. Which country would you like to work in? Anywhere that would give me the chance to become fluent in the native language. At the top of the list, any of the Spanish-speaking countries! Which company do you think has the best marketing? North Face has stood out to me recently. They have a global campaign that aims to inspire women from all walks of life to push boundaries and explore the great outdoors. What do you love most about your job? I have been at Skybox Security for nine years, and every year has brought unique challenges. I am always learning and growing. What is your favourite book? Brave New World is one of the books that had a huge impact on me. The themes of ethical conflicts between technological progress, human happiness, truth and social stability will always be important. What keeps you awake at night? I've been considering whether it's possible to add a personal mission to my to-do list. I believe that for-profit business and marketing principles can be wielded as a force for good, and am researching opportunities to mentor non-profit organisations on how to multiply their impact.